This course gave me a great foundation to understand how to deliver Agile across a whole organization, from top to bottom. The course was well-structured and the venue was excellent. The workshop was very well-planned! Agile Management - Certified Scrum Developer Training In Hong Kong Hong Kong is one of the world?s leading financial centres, dominated by the service sector, characterised by low taxation and free trade. This city is recognised as a major commercial hub with many international corporations making their presence felt, thus bringing in the demand for skilled professionals in various fields including IT. KnowledgeHut through its CSD Certification in Hong Kong comes as a boon to professionals to hone their skills in the field of Scrum, through a holistic course that offers theory and practical hands-on sessions on actual design and code samples. This CSD training in Hong Kong thus imparts concepts in a transparent manner for aspirants to understand and implement. What is the course all about? CSD course in Hong Kong teaches basics such as the Essence of Agile, Scrum basics and the concept of Sprints. 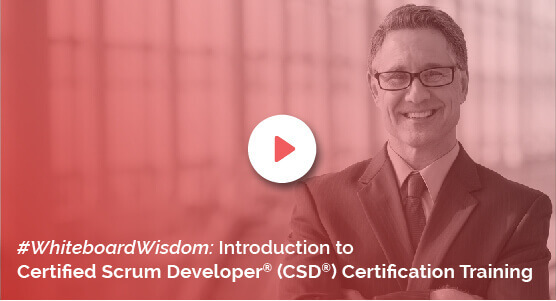 The course discusses Scrum roles, ceremonies and Artifacts, covering topics like Test Driven Development (TDD), Acceptance Test Driven Development (ATDD) and Behaviour Driven Development (BDD). Throwing light on their differences and how BDD fits into Agile, a classroom exercise on BDD comes as a support. Participants also understand tools and languages like Gherkin, Fitnesse and Selenium. The course also delves into the best practices for writing Feature Files. CSD Certification in Hong Kong provides an in-depth understanding of Agile Architecture and Design while covering the concepts related to SOLID design principles, Design Patterns and Anti-Patterns. All these are supported by timely code demos and exercises conducted by an eminent tutor teamed with the exhaustive course material that this course offers. Benefits of the course: Certified Scrum Developer Training in Hong Kong provides attendees solid foundation and understanding of the agile paradigm. It equips them to write collaborative extensible code within the ambit of Scrum, using best practices and standards. Participants get a two-year membership with the Scrum Alliance. The KnowledgeHut Way: The Certified Scrum Developer Certification is conducted by SA certified trainers. The course offers 100 days of online access as well as a downloadable e-book. The nominal course fee is inclusive of the exam fee.